Radon is a naturally occurring, invisible, odorless gas that comes from deposits of uranium in soil, rock and water. 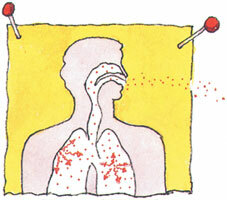 It is dispersed in outdoor air, but when concentrated in buildings, can be harmful, especially at elevated levels. Radon is a radioactive decay product of radium, which is itself a decay product of uranium. Uranium and radium are both common elements in soil. The primary source of high levels of radon in homes is the surrounding soil. Radon has been found in elevated levels in homes in every state. 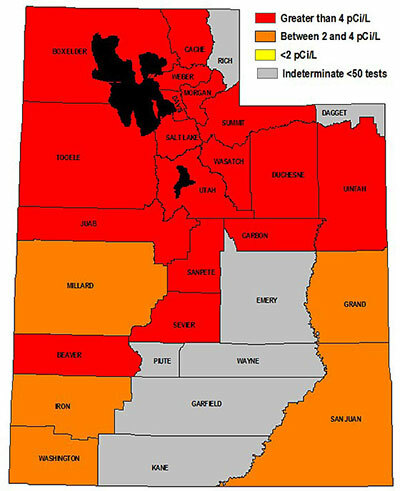 The Utah Department of Environmental Quality estimates that 30 percent of homes in Utah have elevated levels of radon. 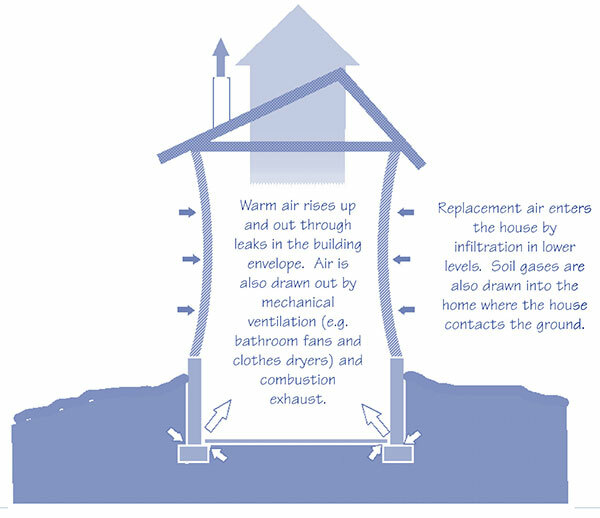 In your home, air seeps in from the soil around and under the house, and some air is sucked in through openings (cracks, doors, windows) on the lower levels. Radon gas enters through cracks in the foundation floor or walls, hollow-block walls and openings around floor drains, pipes and sump pumps. It’s found in any type of home structure such as slab on grade, crawlspace, or basement foundation. The Surgeon General has warned that exposure to radon is the second leading cause of lung cancer in the United States. Radon can be inhaled into the lungs, where it undergoes radioactive decay. As it decays, radon releases tiny bursts of energy called alpha particles, which can harm sensitive lung tissue by damaging the DNA. This damaged DNA can lead to lung cancer. Radon is measured in picoCurries per liter of air (pCi/L), a measurement of radioactivity. The U.S. EPA and the Centers for Disease Control and Prevention recommend that homes with radon levels 4 pCi/L, or greater, be fixed. Have your home tested. We can test your home with a Continuous Radon Monitor (CRM) which will remain in your home a minimum of 50 hours and a maximum of 96 hours. The CRM will record radon levels in your home by hourly intervals giving you an EPA reading at the end of the test. Your full Radon Gas test results will be emailed to you following the test. Many states have made it mandatory to test for radon in all real estate transactions. We can mitigate your home for high levels of radon gas. The most common systems installed are a “sub-slab depressurization.” These systems prevent radon gas from entering the home from below the concrete floor and the foundation. Similar systems can also be installed in homes with crawl spaces. Depending on the structure of your home we can hide the system inside your home venting out of the attic or run an >exterior system on the outside of your home. When contracting a radon mitigation professional, a consumer should verify that the provider is a qualified Utah licensed contractor, with a National Radon Proficiency Program certification as defined in UT Administrative Code R156-55a-302b in the Utah Construction Trades Licensing Act Rule (April, 2013).